This stunning 3bd 2 BA get-a-way is located in Bison Ranch and situated on an oversized lot with plenty of mature trees and Pines. Laminate flooring in all the right places-Vaulted T&G ceilings-wood burning fireplace-master BDRM access to back deck-very open greatroom floorplan. The log sided exterior has been freshly painted. Plenty of room for all to enjoy on both the front and back decks. Great location-close to the USFS-and all that Bison Ranch has to offer. 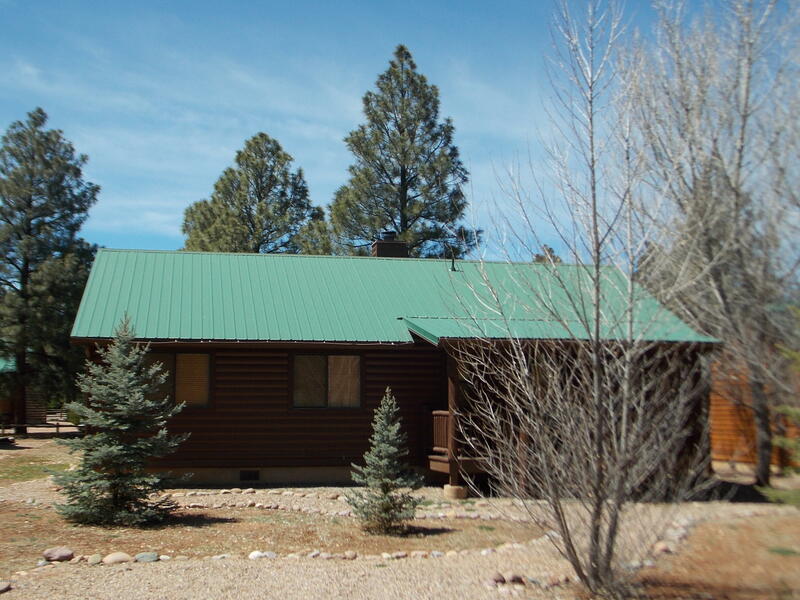 This cabin has been well maintained and is being offered FURNISHED.